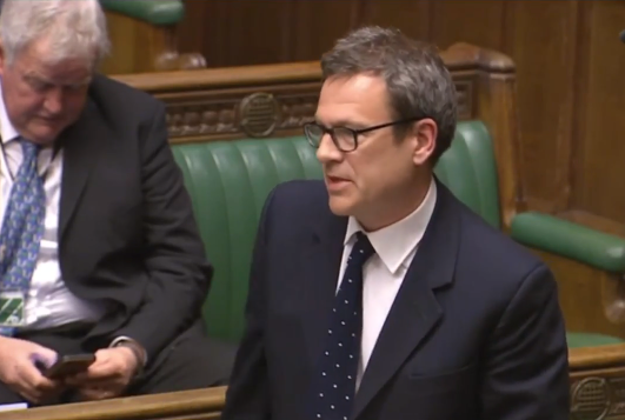 Isle of Wight Conservative MP, Bob Seely, has sent seven questions to the Transport Minister about Isle of Wight ferries, including if they’d support renationalising one of the services. MP Bob Seely has written to the government asking it seven questions about the Island’s ferry companies including whether ministers would consider a buy-out of either Wightlink or Red Funnel. Bob wrote to transport minister Nusrat Ghani this month and said Island residents were receiving “iniquitous treatment” compared to other UK Islands on travel costs and the companies were effectively a duopoly. Bob has previously called for a public service obligation to be imposed on the ferry companies to lower the cost of travel and pointed out Scottish island travel is subsidised. “Of particular concern to Islanders is the fact that the firm was ‘denationalised’ in the 1980s with no public service obligation, in stark contrast to the regulated, franchised arrangements subsequently put in place for the railways. “Many of my constituents believe this to be a considerable mistake. The Island has suffered since by having some of the most expensive ferries (per mile) in the world. Bob said the letter was reflecting a widely-held view that the Island is getting a bad deal on ferry travel and he wants ministers to act. Do you believe that it is appropriate that the Isle of Wight continues to have some of the world’s most expensive ferries? Do you understand the concerns of my residents that one of their only means of taking a vehicle on and off the Island was privatised without any sort of service obligation to those who rely on it? Do you accept that the two main ferry firms run an effective duopoly? Do you accept that due to the overwhelming need and lack of real choice, ferry travel is not price sensitive? Do you believe it is acceptable for a ‘lifeline’ service to be structured in a purely commercial manner that results in the obligations to private shareholders always taking a higher priority than those of users? Is the Government willing to consider imposing a Public Service Obligation in the event of a sale of Wightlink? Can you explain to my constituents and myself what Government’s powers are to impose such a Public Service Obligation if it requires primary or secondary legislation, and, if so, would you be prepared to consider it either during Government time or through a Bill I introduce? Would the Government support a public buy-out, by local or national Government, of one of the ferry companies? At time of publishing Red Funnel had failed to respond, but we’ll update once we hear back from them. 17 Comments on "MP Bob Seely asks Government if they’d Nationalise an Isle of Wight Ferry company"
Have a read about Road Equivalent Tariff (RET)that is applied to the Scottish island ferries. Ther’s none of this time pricing nonsense either, just one flat fare. Remember the days when the IW used to have that? That is worth a read by everyone… the statistics/analysis is very interesting. In short, car ferry prices were reduced by some 65/70% and traffic increased by 30-50%. Sounds like a no-brainer but who pays what to whom ? They will take every opportunity to improve the financial yields of the company and do not care who they tread on to do it. I wrote to our MP the other week pointing out how the Scots are subsidising their Island Ferries with a £200 million grant , probably straight from us. This looks more like a panic measure from Bob now that the IW Labour party are giving the matter their attention. He seems to have spent the greater part of the time since he was elected in trying to divert attention away from the cross-Solent transport issue. If you took the interest on £3 billion (supposed cost of fixed link) you could run the ferries for free for perpetuity. so 3300m looks cheap & as per Wightlink site Investment funds such as the Macquarie European Infrastructure Fund (MEIF) have a lifespan. MEIF is reaching the end of its lifespan and so it’s selling a number of its investments, including Wightlink perhaps it is time that our ferries were more than just a temporary cash cow/investment.